I have just noticed that I am not able to disable the prime tower when using supports. I am only using a single material, Extruder 2 is disabled. Ok, I started over again from a default profile and did all my settings again and now it as expected. Don't know what happened before. Still strange behavior. I cannot print, because after sending the print job, the printer means I have to load the AA 0.8 core with PLA in the extruder 2. But extruder 2 is disabled! 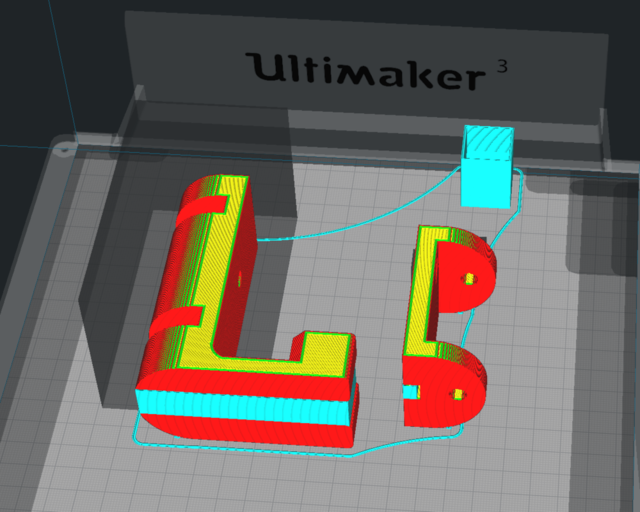 After some investigations, it seems, that now with Cura 4.0, you have to set the right print core combination, regardless of the print core if it is enabled or not. I am now able to print, but only because I configured the right print core for the disabled extruder 2.